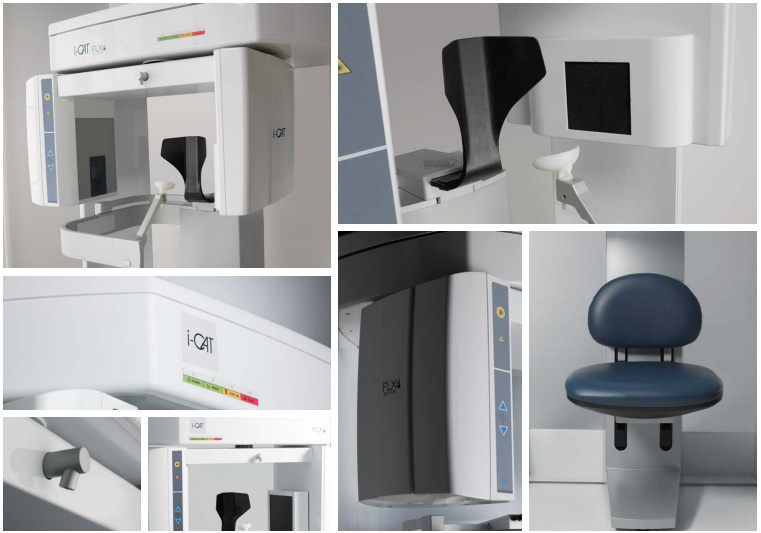 Dr. Auvenshine and Dr. Pettit are proud to introduce the latest in digital imaging, the i-CAT FLX Cone Beam 3D system. This latest technological advancement is designed for greater flexibility in scanning, imaging, and treatment planning. This award-winning technology allows increased clarity, but most importantly, it allows lower ionizing radiation exposure to the patient. How is the i-CAT FLX able to create a clearer image with a lower dose? The i-CAT FLX now has a 16-bit sensor (instead of the previous 14-bit) which allows even better image quality on both 2-dimensional and 3-dimensional renderings. The i-CAT has unique, widely adjustable 3D fields-of-view through collimation. Now we can get more detail with less radiation. Our new patient scan has a dose equivalent to less than a week of background radiation. In other words, living in the USA for a week (the ground, the air, the sky) gives you a higher dose of radiation than our new patient scan. We believe in limiting the exposure each patient receives, and feel the investment in this new technology is well worth it. In seconds, we are able to convert your scan into a detailed 3-dimensional representation of your skull and jaw. From this model, we can view your anatomy from all angles, giving us insight into your jaw alignment, your tooth position, your sinuses, nasal passages, and airway anatomy, and so much more. With the i-CAT FLX, we are able to capture all records in a single, low dose scan. Previous imaging techniques required multiple exposures and higher doses to the patient. We will walk you through your own 3D anatomy the same day you come in for an evaluation. It’s that quick. Seeing the actual structures and biomechanics behind your temporomandibular disorder can give you better understanding, while at the same time, helping us ensure accurate treatment to improve your symptoms. The technology is invaluable as it allows us the diagnostic information we need with a peace of mind that we are doing the best for our patients.